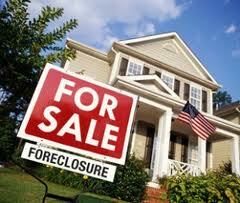 Foreclosure, HUD and bank owned homes can be a great value for Indianapolis homebuyers. There can also be additional costs associated with bank owned properties many people do not assume. Buying a bank owned home is not the same as buying a home directly from a homeowner or builder. Banks have their own set of addendum's required with the purchase of one of their homes. Generally, there are requirements within the contract and addendum’s that cost a homebuyer more money, both in upfront costs and settlement costs. When it comes to buying any home, we always recommend a home inspection. This is always a buyer cost, but with a bank owned home, you may have additional fees in relation to the inspection of the home. Winterization: Most banks winterize homes in Indianapolis between October and April; some banks keep them winterized all year. Most banks require the buyer to pay for de-winterization for the inspection and expect the buyer to pay to winterize the home again. The cost is roughly $200.00. On a HUD owned home, this cost is $190.00, plus a $100.00 deposit. The deposit amount is returned once you have verified the utilities have been turned off and submitted the required form. Utility Fees: Most bank owned homes will have the utilities on, unless there is a reason they can not be turned on; i.e. a plumbing leak. HUD owned homes require the prospective buyer to have utilities turned on in their name for the inspection. This cost will depend on how many utility companies service the property and the number of days the utilities are on. Note: Winterization and utility fees are up front costs and can not be compensated for. They are the cost of having an inspection. Title Fees: While most banks will pay the owners title policy, there are a few exceptions. By law, buyers are allowed to choose their own title company or place of settlement. Typically, banks have a Title Company they use and will pay for the owner’s title policy if you choose to use their title company. HUD requires buyers to pay the owners title policy. This cost depends on the amount of the purchase of the home. An average would be approximately $500-600 on a $100,000 home. Homeowner Association Assessments: Typically, assessments are pro-rated at the time of settlement, but many bank addendum's state the bank will not be responsible for the cost homeowner association assessments which occurred before the bank became the owner of the property. Homeowner Warranty: Banks will generally not pay for a homeowner warranty policy. This is a generally accepted seller cost and most sellers will pay for it. A homeowner warranty covers the major components of a home for the first year and the cost is typically about $400.00. Note: Title fees, homeowner association assessments and homeowner warranty costs are payable at closing. Every bank has their own addendum’s, so there isn’t an industry standard, per se. Homebuyer’s and their real estate agents should evaluate the addendum’s to determine whether there are costs above the expected norm when considering a bank owned home.